WOW! 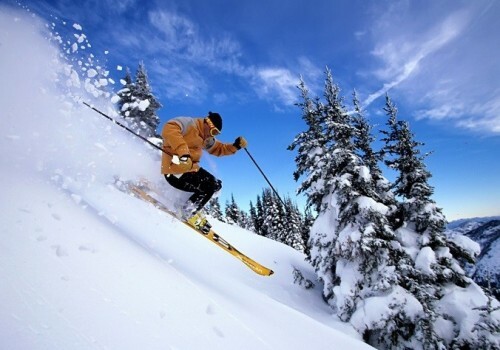 7 days ski holidays with 3* hotel and ski lift pass for only €89! Winter is slowly approaching here in Europe and this is the time to look for some Winter fun. And what’s better than a skiing holiday in one of many European ski resorts! Right now you can book some amazing deals for unbelievable prices! One week holidays in 3 star hotel “La Crête du Berge” located in ski area La Joue du Loup, France including ski pass for 6 days of skiing can be booked from only €89! This is super low price that’s impossible to beat! The skipass itself normally sells for €157! This price is valid if you travel in group of 8 people, if you are just 4 you can book the hotel from €99. The hotel has billiards, a heatable and covered outdoor pool, ski depot and parking spaces. It is located 500 meters from the stop of cabin lift which will take you up to the skiers paradise. La Joue du Loup offers 25 lifts and over 100 kilometers of pistes of all kinds. The best price is available for stays from 5th April 2014 which is the end of the season, however stays in January are available from just €149 which is still amazing price in the main season! Check all details, pictures and book here! « Cheap flights to Israel in January: only €72!